Hong Kong has long enjoyed success on a global scale, rising and reinventing itself continuously over the years and decades – from a manufacturer and exporter to an economy built on financial services and capital and the world-class professional services that help power it. In order to sustain our competitiveness in the 21st century, we need a new engine for our economy, in the form of innovation and technology (I&T). Taking into consideration Hong Kong’s strengths and capabilities, we will be focusing on four areas – artificial intelligence and big data analytics, biomedicine, smart city, and fintech. We are also working relentlessly with industry stakeholders to further enhance Hong Kong’s ecosystem for startups. After all, this is a city shot through with entrepreneurial spirit and the resilience it demands. Today, a new generation of disruptors is taking advantage of Hong Kong’s favourable economic and cultural environment to create, innovate and enable tomorrow’s economy. In recent years, our startup scene has also taken off – not surprising, of course. According to San Francisco-based research firm Compass, Hong Kong is among the world’s five fastest-growing startup centres and one of the world’s top 25 start-up hubs. Results of InvestHK’s latest Startup Profiling Survey show a 16% increase in startups this past year, to 2,300, and a 21% gain in startup jobs, to more than 6,300. The survey also shows a growing number of overseas founders. They chose Hong Kong because of our unique advantages afforded by the “one country, two systems” arrangement, our prime location, our low and simple tax system, our rule of law, our world class financial and professional services, and of course, much more. These young, talented entrepreneurs also bring with them international experience and perspective. And that can only make our startup community truly reflective of the dynamism and multiculturalism of Hong Kong – Asia’s world city. The Hong Kong Special Administrative Region Government is committed to the development of innovation and technology. We have allocated more than US$3.6 billion into different programmes and initiatives since 2015, to further enhance our technology infrastructure, to encourage SMEs to make wider use of technology, to promote mid-stream research and development, to further improve our ecosystem for startups through venture capital funding and incubation programmes, and, last but not least, to nurture and attract talent of the right calibre to support innovation and technology development. One key initiative to support startups is the Innovation & Technology Venture Fund. Some US$256 million has been set aside to invest in local I&T startups, working with select private-venture capital funds in an investment ratio of 1:2. Our Public Sector Trial Scheme provides support of up to US$130,000 a project to startups for research and development trials in the public sector. The programme has been extended to cover companies in the Hong Kong Science Park and Cyberport, (the) Hong Kong Government’s key partners in the development of I&T. The Internship Programme has also been expanded to include incubatees and SMEs at (the) Science Park and Cyberport. Each company can recruit up to two local university graduates as interns for up to two years. Recently, Cyberport set up an Investor Network to attract venture capitalists, angel investors and private equity funds from around the world. The network’s goal is clear: to enhance the fund-raising and deal-making capabilities of Cyberport startups. The Science Park, which offers incubation programmes in new technology, biomedical technology and web and mobile technology, has set up a US$6.4 million Corporate Venture Fund. The fund will partner with angel investors and venture capital (VC) funds to invest in startups that are either based at the Science Park or have participated in its incubation programmes. With a growing number of private VC funds attracted by Hong Kong’s startups, as well as incubators, accelerators and co-working spaces now operating in Hong Kong, I am confident that the startup scene in Hong Kong will continue to flourish. Down the technology road, we can look forward to the development of the Guangdong-Hong Kong-Macao Bay Area, a national development plan covering Hong Kong, Macau and nine cities in Guangdong Province including Shenzhen, Guangzhou and Zhuhai. With a total population of more than 68 million and an aggregate GDP of more than US$1.4 trillion, the bay area compares favourably with Australia or the Republic of Korea. Amongst other things, (the) bay area development will bring exceptional opportunities for Hong Kong to join hands with Shenzhen and other bay area cities to develop an international innovation and technology centre very much like Silicon Valley. It will also allow innovative startups based in Hong Kong to tap into the region’s skilled technical talent pool, its rapid prototyping and advanced manufacturing capabilities, as well as its just-in-time fulfilment and logistics strengths. One highlight is the Hong Kong-Shenzhen Innovation & Technology Park, with a total floor area of about 1.2 million sq m. Located just below the boundary with Shenzhen, the park will rise as an international centre for innovation and technology research, creating huge opportunities for the bay area, for Hong Kong companies, and, of course, for the companies that partner with us. The HKSAR Government has just released last month our blueprint for smart city development. You can hear more about our smart city plans at tomorrow’s Connected City event. Financial technology is also high on our list of priorities. Last September, the Hong Kong Monetary Authority announced a number of measures to promote smart banking. These include a regulatory sandbox involving not just the Hong Kong Monetary Authority, but also the Securities & Futures Commission and the Insurance Authority. They will be linked together, creating a single point of entry for cross-sector fintech pilot trials. 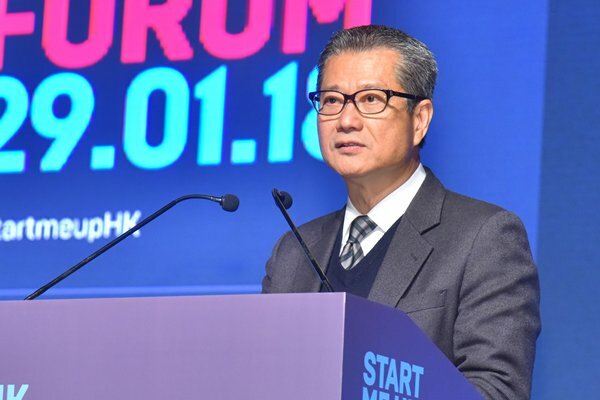 Financial Secretary Paul Chan gave these remarks at the StartmeupHK Venture Forum on January 29. With the development of the community, more and more families need to employ foreign domestic helpers (FDHs) to help with their housework and taking care of their children and elderly. The number of FDHs working in Hong Kong increased significantly from 1,350 in 1975 to 180,000 in 2008; and further doubled over the past decade to nearly 370,000 at the end of last year. Amongst the FDH population, about 54% come from the Philippines and 43% from Indonesia. The rest come from India, Thailand, Sri Lanka, Pakistan, etc. 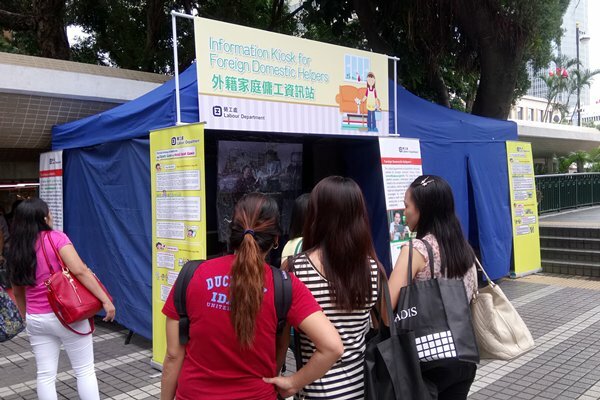 At present, FDHs make up about 10% of the workforce in Hong Kong, serving more than 280,000 families. Their contribution to local families as well as the economic development of Hong Kong is beyond doubt. Specifically, they enable local women to work and thus help release the female labour force, making valuable contribution to Hong Kong’s economic development. The Hong Kong Special Administrative Region Government is committed to safeguarding the labour rights of FDHs working in Hong Kong. In this regard, the passage of the Employment (Amendment) (No.2) Bill 2017 — the second reading debate of which will resume next Wednesday (January 31) — will be an important milestone. The objective of the bill is to strengthen the regulation of employment agencies (EAs) so as to enhance protection for jobseekers (including FDHs). The legislative proposals under the bill seek to increase the maximum penalties for the offences of overcharging of commission from jobseekers and unlicensed operation of EAs; to extend the scope of the overcharging offence; to provide for new grounds upon which the Commissioner for Labour may consider refusing to issue, renew, or revoke the licence of EAs (for example, if an associate of a licensee contravenes Part XII of the Employment Ordinance or any regulation made under section 62 of the Employment Ordinance); and to provide a legal basis for the Commissioner for Labour to issue codes of practice in relation to EAs. Under the existing legislation, EAs cannot charge a jobseeker a commission that exceeds 10% of his or her first month’s wages upon successful placement. Anyone contravening the relevant requirement is liable to a maximum fine of $50,000. In order to address public concern over EAs overcharging commissions from jobseekers, the Government proposes to raise the penalties significantly to a maximum fine of $350,000 and imprisonment for three years, which are the highest penalty levels under the Employment Ordinance. In addition, we also propose to extend the scope of the offence of overcharging commission from jobseekers to the associates of a licensee, including the management and employees of EAs. Upon the passage of these legislative proposals, the deterrent effect against overcharging will be greatly enhanced. I believe the bill is a major breakthrough. It enables the Labour Department to strengthen the regulation of EAs and greatly enhance the protection for local employees, FDHs and employers in using the services of EAs. The Labour Department has all along been taking rigorous action against violations of the Employment Ordinance and the Employment Agency Regulations by unscrupulous EAs. Since 2014, the Department has increased its manpower to step up inspections of EAs and raised the inspection target from 1,300 to 1,800 per year. Regular liaison mechanisms have been established with consulates-general of major FDH-sending countries in Hong Kong. The Labour Department also works closely with the Immigration Department and Police (e.g. mounting joint operations) to step up our efforts against unscrupulous EAs. We attach great importance to the promotional and educational efforts to enhance FDHs’ awareness of their labour rights as well. To facilitate jobseekers and employers to gain convenient access to the information relating to the regulation of EAs, the Labour Department launched a dedicated EA Portal in January 2017. The portal enables the public to check if an EA has a valid licence, browse reference materials, publications, as well as the department’s press releases on cases of successful prosecutions, revocations or refusal of licences, etc. In addition, there is the “FDH corner” section in the portal which is available in Philippine (Tagalog), Indonesian and Thai versions to allow FDHs to browse the information anytime. FDHs are valuable to us. Their employment rights should be fully protected and respected. I hope the bill will be supported and passed by the Legislative Council so the proposed amendment provisions come into effect on February 9 upon gazettal. This will further enhance our protection of FDHs and local workers. Chief Secretary Matthew Cheung posted this article on his blog on January 28. Like many places around the globe, Hong Kong is facing a rapidly ageing population. Today one in 6.5 people in Hong Kong is aged 65 or above. In 20 years, it will be about one in three, and among them the group of “old-olds” or elderly people aged 85 or above, will be more than double from the current 173,000 to around 378,000. It is also expected that three out of five people turning 65 today will live to 85 or beyond and two of them to at least 90. Many Hong Kong people will therefore enjoy a retirement span as long as two or three decades. The Hong Kong Special Administrative Region Government attaches great importance to the well-being of our elderly population. At present, a significant 20% of the Government’s recurrent expenditure goes to health services and welfare support for our elderly population. While the demographic shift can be challenging to our healthcare and welfare systems, we see opportunities for exploring innovative policy solutions to keep public services up to date with changing needs and ensure more effective use of limited resources. The Government is committed to promoting active ageing to unleash and harness the potential of our senior citizens. It is also our policy to accord priority to the provision of home care and community care, supplemented by residential care. We are allocating more resources to enhance community and home care services, with the long-term goal of achieving zero waiting time for service users. This will enable the elderly, especially those in need of extra care, to relax and enjoy life in a familiar environment. For example, to support ageing in place for elderly persons with moderate or severe impairment, we have launched the Pilot Scheme on Community Care Service Voucher for the Elderly. The scheme is now in its second phase and we keep on increasing the service quota as far as possible. The number of vouchers has been increased by 2,000 since last August, and will be further raised to 6,000 in 2018-19. There are also other new initiatives to cater for different needs. The Pilot Scheme on Home Care & Support for Elderly Persons with Mild Impairment, launched last December, is primarily designed for low-income elderly persons with mild impairment. The Pilot Scheme on Support for Elderly Persons Discharged from Public Hospitals After Treatment, which is expected to be launched next month, will formulate discharge support plans and arrange transitional residential and community care and support services for elderly patients. Support is also provided for elderly people living in private institutions. A new four-year pilot scheme will be launched in the fourth quarter of this year to assign district-based professional teams comprising social workers, physiotherapists and occupational therapists to provide outreach services for, among others, private residential care homes to support the elderly residents’ social and rehabilitation needs. Visiting medical practitioner services will also be provided to take proactive measures against seasonal influenza and other episodic illnesses, so as to improve the general health of the elderly residents and reduce their reliance on the public healthcare system. In addition, we will include more recognised service providers in the Pilot Scheme on Residential Care Service Voucher for the Elderly to follow through the principle of “money-following-the-user” and enhance the service quality of private elderly homes. We believe that these measures can strengthen the complementary roles of public and private organisations in the provision of elderly care. To keep improving services and facilities of the public healthcare system, we will deploy ample resources and enhance the supporting infrastructure. We will introduce a new arrangement by undertaking to increase the recurrent funding for the Hospital Authority progressively on a triennium basis, having regard to population growth rates and demographic changes. This will enable the Hospital Authority to address the staffing issue and service demands arising from a growing and ageing population in a more effective and sustained manner. On supporting infrastructure, the Government and the Hospital Authority will press ahead with the delivery of the 10-year Public Hospital Development Plan, for which $200 billion has been earmarked, and kick-start the next round of public hospital development planning in the coming five years. On healthcare manpower, over 2,000 medical graduates will register as medical practitioners in the next five years. The Hospital Authority will employ all qualified local medical graduates and provide them with relevant specialist training. It will also proactively recruit qualified non-locally trained doctors through limited registration to provide clinical services in the public healthcare system. In parallel, the Hospital Authority will set up more nurse clinics and seek to achieve better results by deploying multi-disciplinary teams. It will also increase the number of pharmacists to strengthen its clinical pharmacy service, including considering ways for better resource deployment to improve pharmacy services for elderly persons living in elderly homes. To enhance community health through cross-sector and multi-disciplinary collaboration, we will regularise the Dementia Community Support Scheme and extend it to all 41 district elderly community centres so that appropriate support services can be provided for elderly people with mild or moderate dementia and their carers through a medical-social collaboration model. Smart ageing in a smart city will of course involve technology. Innovation and technology is not a single industry, but a new model of development. The development of innovation and technology can lead to new industries and create wealth, thereby improving the daily lives of our people including our elderly. Many innovative technologies such as electronic wheelchairs, medical image scanning systems and medical equipment for stroke rehabilitation developed by local manufacturers have already come on stream. In this regard, we have launched the $500 million Innovation & Technology Fund for Better Living to support projects that make people’s daily living more convenient, comfortable and safer, or address the needs of specific community groups through the innovative applications of technology. (The) Elderly is of course one of the beneficiary groups. We also encourage universities and research institutes to translate outstanding local research and development achievements into products and services, including application of technology and innovation in elderly care. To this end, we have introduced the Public Sector Trial Scheme to conduct trials in the public sector to facilitate and promote the realisation and commercialisation of research and development results including those related to gerontechnology. To proactively promote gerontechnology for improving the quality of life of elderly persons and reduce the burden and pressure on carers and care staff, the Government has earmarked $1 billion for setting up a fund to subsidise elderly service units to trial use and procure or rent technology products. The initiative will also cover rehabilitation service units. As technology progresses, the ways in which we can help elderly persons live independent and satisfying lives will only continue to grow. While the Government has spared no effort in promoting a smart and caring ageing community in Hong Kong, we need the support of the entire community, the business sector and the academia altogether to achieve the mission. 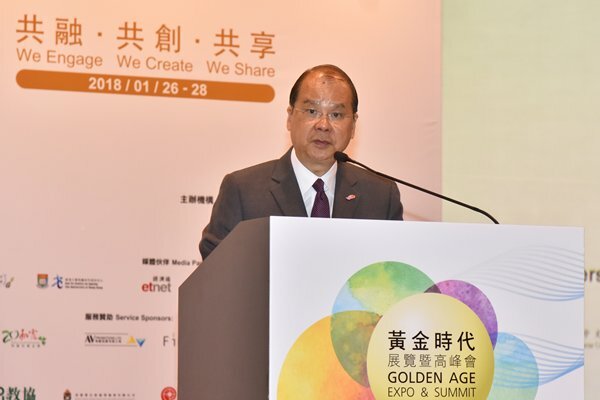 Chief Secretary Matthew Cheung gave these remarks at the opening ceremony of Golden Age Expo & Summit 2018 on January 26. The story of Lingnan University is distinctively associated with the special relationship between Hong Kong and our motherland. Founded in March 1888 as Christian College in Guangzhou, it moved on numerous occasions within Guangdong. It moved to Hong Kong in 1938 and spent a few years here, before moving back to Guangdong. 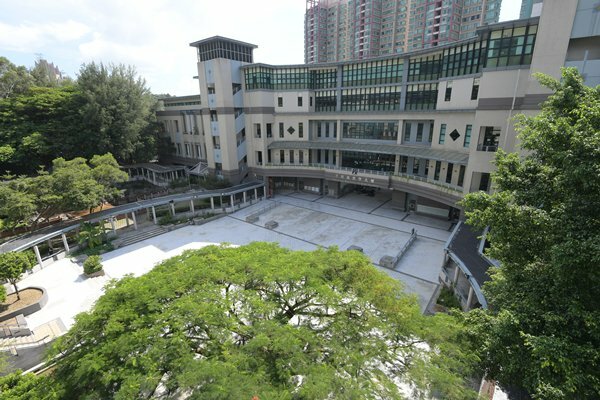 In 1967, the institution was re-established in Hong Kong as Lingnan College (嶺南書院), aiming to provide quality education to the public when tertiary education and university places were scarce at the time. Attended by only 100 students at the beginning, it has thrived over the years. In 1999, the institution was awarded the university title and renamed as Lingnan University. Since then, it has taken its place as a leading Asian liberal arts university, combining the best of Chinese and Western traditions and 21st century drive and innovation. Indeed, Forbes in 2015 recognised Lingnan University as one of the continent’s top 10 liberal arts colleges. In 2016, the university was commended by the audit report of the Quality Assurance Council under the University Grants Committee, citing its excellence in liberal arts education and quality whole-person development for students. And, in its 2018 Asia University Rankings, QS named Lingnan University among the top 100 Asian universities. With its foundation of very close teacher-student relationships, Lingnan strives for excellent teaching and student development by its student-oriented faculty and small class teaching. It is the first local university to achieve full, four-year residency for all undergraduates. All-embracing residential life ensures that Lingnan students are as blessed in social and ethical education as they are in intellectual edification. Connecting with young people occupies a very important place in my Election Manifesto and maiden Policy Address delivered last October. My belief is to nurture the younger generation and develop in them a positive outlook on life, a passion to serve the community, a commitment to society, a sense of national identity, a love for Hong Kong and an international perspective. I am therefore enthusiastic and thankful about Lingnan’s global outreach work. In building connections with international and Mainland universities, broadening its network of student and faculty exchanges, Lingnan expands the horizons and opportunities of its students, nurturing confident, independent young adults for Hong Kong and for the world. To date, the university has more than 190 exchange partners in about 40 countries. A remarkable 90% of the university’s undergraduates participated in exchange programmes over the past academic year. The university’s strategic collaborations are no less impressive. It was Lingnan University that took the lead in establishing the Alliance of Asian Liberal Arts Universities to boost the development of liberal arts education throughout the region. My congratulations for the very successful Launch Conference held by the Alliance in November last year, which brought together universities and scholars with rich experience and expertise in liberal arts education from all over the world, especially Asia, to share insights and experiences and explore collaboration opportunities. I am heartened as well by Lingnan’s “Education for Service” motto and the contributions that have long been made by its students, both through research and in community service. Such efforts have increased significantly in recent years and would help lay the solid foundation for a better Hong Kong. Chief Executive Carrie Lam gave these remarks at Lingnan University’s 50th Anniversary in Hong Kong Celebration Banquet on January 20. Project WeCan is a business-in-community initiative that aims to unleash students’ potential through a wide spectrum of programmes, ranging from academic learning, extracurricular development, life goal planning and real-life business management experience. The Hong Kong Special Administrative Region Government supports Project WeCan and has since 2015 provided funding support to the programme on a matching grant basis. So far the Government has granted $70 million to the project and with the matching grant from the business sector, for which I am most grateful, a total of $140 million has been provided to support the 82 projects benefiting students from 48 schools. First launched in 2013, the Youth Innovators Bazaar, under Project WeCan, aims to provide opportunities for students to unleash their creativity and entrepreneurial talent through developing retail business from scratch. 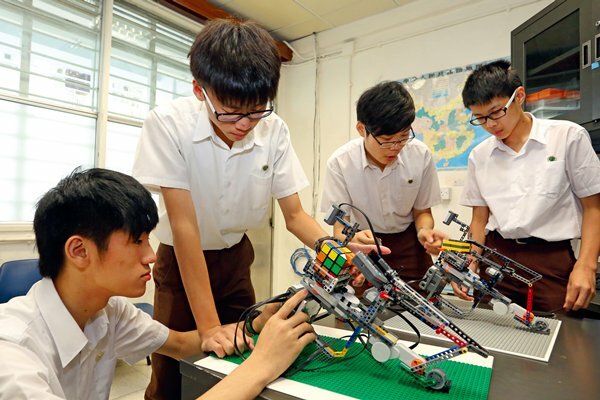 This year, over 1,000 from more than 40 schools will learn from professionals from 45 participating organisations including universities, business enterprises and other organisations. Chief Secretary Matthew Cheung gave these remarks at the Project WeCan Young Innovators Bazaar 2018 kick-off ceremony on January 19. Things are looking good lately. Hong Kong’s economy is expected to have grown notably by 3.7% last year, the fastest growth in six years. This is largely attributable to vibrant external trade, underpinned by much improved global economic conditions, as well as solid growth in domestic demand and a state of full employment in our labour market. The economic outlook for 2018 remains very positive. The Hong Kong Special Administrative Region Government will continue to promote diversified economic development, while managing risks amid vigorous capital flow, rising interest rates and technological revolution. With that in mind, we are working diligently to enhance Hong Kong’s competitiveness and economic development. When it comes to financial services, consolidating our leading role as a regional asset-management centre is a policy priority. So too is promoting the development of Hong Kong’s fund and asset management industry. Our combined fund-management business grew by 5.2%, year-on-year, to the end of 2016. That realised a record-high US$2.35 trillion. Funds from non-Hong Kong investors accounted for two-thirds of that. In short, we’re attracting a world of investment. Private equity has become an increasingly important piece of Hong Kong’s asset-management business. At the end of last September, Hong Kong’s capital under management in private equity had reached almost US$130 billion. Over the same period, total private equity funds raised added up to more than US$13 billion, putting Hong Kong second only to the Mainland in the Asian region. The next step is turning Hong Kong into a full-fledged, fund-service centre. To that end, we are rolling out measures to remove legal hurdles, broaden the fund industry’s distribution network and create a more favourable tax environment. The initiatives include an open-ended fund company (OFC) structure, which will give fund managers an additional choice. The Securities & Futures Commission is now working on the legislation’s operational and procedural rules. And we hope to launch the open-ended fund company structure later this year. To complement it, I proposed, in last year’s government budget, to extend the profits tax exemption to onshore, privately offered OFCs. The bill was introduced into the Legislative Council last June, and we are working now to make it a go. Once the legislative amendments are passed, all OFCs, whether they are publicly or privately offered, onshore or offshore, will enjoy tax exemption. We are also very much focused on opening up sales channels for funds. Our mutual recognition of funds arrangement is a case in point. We have, in recent years, reached agreements with the Mainland, Switzerland and France to expand the distribution network for Hong Kong’s fund-management industry, while boosting development of our asset-management business. The Securities & Futures Commission is now negotiating similar arrangements with several other jurisdictions. And, of course, our unique “one country, two systems” framework with the Mainland creates opportunities available to no other economy. We are, rest assured, taking full advantage of them. The introduction of Shanghai-Hong Kong Stock Connect, Shenzhen-Hong Kong Stock Connect and the Mainland-Hong Kong mutual recognition of funds arrangement has enabled us to play an increasingly important role in connecting the financial markets and investors of China and the rest of the world. We are also sparing no effort in enhancing our competitiveness as the preferred listing platform for initial public offerings (IPOs). As a matter of fact, Hong Kong has been among the top five global IPO listing centres for the past 15 years. We have recently devised new strategies to further expand Hong Kong’s listing regime to attract new economy companies to come to here for listing, including pre-revenue companies and companies with weighted voting rights structure that meet specific requirements. The Hong Kong Stock Exchange, in consultation with the Securities & Futures Commission, will formally consult the market on the relevant details within this quarter, actually by the close of February or the latest, beginning of March. We are hoping to see the listing of more tech companies in Hong Kong in the second half of this year. And when it comes to capital, to fund-raising, we expect that the renminbi will increasingly become the currency of exchange as China continues to open up its capital markets and as the internationalisation of the renminbi continues to gain pace. Global demand for Mainland assets will also invariably increase. Good news for Hong Kong, the world’s largest offshore renminbi business centre. We are looking for opportunities to deepen access between Hong Kong and the Mainland. Among other things, we will explore the possibility of expanding the range of investment products, including exchange-traded funds, in our mutual access schemes with the Mainland. We are also working to extend Bond Connect to cover south-bound trading. In March last year, Premier Li Keqiang announced the Guangdong-Hong Kong-Macao Bay Area development proposal. The bay area, with an aggregate population of 68 million people and a total GDP of over US$1.4 trillion, is the fastest growing region and the most affluent region in China. That offers unprecedented opportunities for our asset management and wealth management business. Innovation and technology will be a key area of focus in terms of Hong Kong’s co-operation with neighbouring cities in this region. I am sure it will provide a cluster of innovation and technology business in the areas of artificial intelligence, fintech, biotech and smart city, and this will offer venture capital and private equity sector with many more exciting investment opportunities. Business-friendly, capital-rich, super-connected Hong Kong is flush with more than money. Our ambition is equally outsized, as is our ability and resolve to realise whatever is we set out to achieve. Financial Secretary Paul Chan gave these remarks at the Asia Private Equity Forum 2018 on January 17. The Volvo Ocean Race is the longest and toughest professional sporting event and one of the top three sailing competitions in the world. We are proud to play host as a stopover city, and we have the first-ever participation of a Hong Kong team in the race. I am really eager to see the seven participating teams competing in our iconic Victoria Harbour. Their presence in our own waters will reinforce Hong Kong’s status as a centre for international sporting events. For years, the Hong Kong (Special Administrative Region) Government has been committed to promoting sports through the staging of mega events. The Volvo Ocean Race Hong Kong Stopover is awarded the “M” Mark status by our Major Sports Events Committee. It is also a celebration highlight of the 20th anniversary of the Hong Kong Special Administrative Region. With the aim to share the excitement with our people, there will be free admission for all during the Race Festival. Quite a number of activities can be expected and we hope that the public and our visitors will enjoy all the programmes. Secretary for Home Affairs Lau Kong-wah gave these remarks at the opening ceremony of the Race Village for the Volvo Ocean Race on January 17. This is really a win-win-win project. We are talking about creating shared value not only connecting with the community, helping our youngsters by providing quality employment in the long term, but also of course helping our children in terms of after-school care services so their parents can focus on their work wholeheartedly, single-mindedly. The whole project has to be underpinned by passion, support and also dedication. That’s why I want to pay warm tribute to the Airport Authority and all the 15 strategic partners joining hands in making this project a reality. We are talking about not just benefitting the airport in terms of employment, but also the whole Tung Chung community and also ethnic minority groups in Hong Kong which deserves our help. I think, looking in the short to medium term, we have got a government transport subsidy scheme, likely to be rolled out in a year’s time, providing subsidy for every commuter in Hong Kong spending more than $400 on Octopus card. You’ve got (a) 25% rebate, which means this will be another attraction, incentive, to overcome the barrier of distance and transportation to work at the airport. And also slightly longer term, in three/four years’ time, three years’ time probably, the vehicular tunnel between Tuen Mun and Chen Lap Kok should be in operation. By then we can move the working population, particularly (the) work force in Tin Shui Wai, Yuen Long and Tuen Mun all the way to Chek Lap Kok Airport, in fact, the airport island, within 20 to 30 minutes without any disruption, any traffic jam at all. All these will be happening in the next few years but it all boils down to collaboration, interaction and passion. On this note, I thank the Airport Authority and everybody for helping this scheme and wish you every success. This will be a shining model for Hong Kong in terms of creating shared value. Chief Secretary Matthew Cheung gave these remarks at the Hong Kong International Airport Extra Mile project launch ceremony on January 16. The ever-increasing interest in the Asian Financial Forum is testimony to its continuing ability to connect people, businesses and governments, to deliver fresh ideas, insight and endless opportunity. It helps, of course, that Hong Kong is among the world’s leading financial centres. That, by the way, is not my revealing bias, but the conclusion of the latest Global Financial Centres Index, which ranks Hong Kong first in Asia and third globally, just behind London and New York. The index is hardly alone in spotlighting Hong Kong’s business prowess. Last May, the International Institute for Management Development once again crowned Hong Kong the world’s most competitive economy. It also ranked us top in financial efficiency. We attract attention and awards, business and investment for all the right reasons. Because Hong Kong thrives on openness, on the rule of law, the free flow of capital, goods, people and information, and last but not least the unique advantages under the “one country, two systems” arrangement. Over the years, and the decades, we have built a regulatory regime that is fair, transparent and fully aligned with international standards. Hong Kong is endowed with the experience, expertise, international connections and deep liquidity to serve as the leading fundraising and financial management hub. It’s no surprise, then, that our stock market has been among the top five globally for initial public offerings every year for the past 15 years. Hong Kong is also Asia’s largest asset management centre. Let me add that funds sourced from non-Hong Kong investors account for more than 60% of our fund-management business. As the unique two-way platform for overseas investors to tap into the Mainland markets and for Mainland investors and enterprises to “go global”, there is much more on Hong Kong’s horizon. Hong Kong has the world’s largest offshore pool of renminbi funds and provides a diversified range of renminbi products and services. Coupled with the ever-deepening mutual access arrangements between the Hong Kong and the Mainland financial markets, Hong Kong has established itself as a leading global hub for offshore renminbi business. Building on this and looking ahead, the Guangdong-Hong Kong-Macao Bay Area development and the far-reaching Belt & Road Initiative will offer even more opportunities in the coming decades. With our innovative entrepreneurs and professionals creating new possibilities through fintech and our financial regulators determined to keep our regulatory regime relevant and up to date, I am confident that Hong Kong is ready for capturing the ample opportunities ahead. Financial Secretary Paul Chan gave these remarks at the 11th Asian Financial Forum cocktail reception on January 15. Growth and innovation are the two key words underlying the theme of this year’s forum. It is opportune that growth is finally taking a firmer foothold on a global basis, in particular in this region of the world. Global economic growth picked up visibly in 2017, with improvement in most major economies. Amid the improving global economic environment, Asia is taking centre stage in terms of growth and potential. Asian economic growth has persistently outpaced other regions over the past two decades, signifying sound fundamentals and promising growth potential. Asia’s mammoth population, reaching four and a half billion by now, coupled with an expanding middle-class marked by rapidly rising purchasing power, is driving the world forward, with huge economic potential to be tapped. Building on economic success, Asia’s businesses have also been thriving. Of the top 500 global companies ranked by Fortune in 2017, 194 were based in Asia, up around 56% from a decade ago. Zooming in further within Asia, the impact, scale and importance of China for the continent and the whole world speaks for itself. The rapid development of the Mainland economy is instrumental in steering global economic growth. Since the reform and opening-up in 1978, the Mainland economy has seen an impressive pace of growth, averaging 9.6% per annum. Hong Kong is both a contributor and beneficiary of the Mainland’s reform and opening-up. As this year is the 40th anniversary of this national strategy, my Government is planning a series of activities to reflect on our past successes and to look forward to the future. As a US$12 trillion economy, the second largest in the world, the Mainland is still growing at a pace significantly higher than most major economies, achieving a remarkable growth at 6.9% in the first three quarters of 2017. In addition, in his report to the 19th Party Congress, Secretary General Xi Jinping has laid out a clear vision for future economic growth, with emphasis on quality, inclusiveness and shared benefits. As China has embedded and integrated itself into the world economy, creating a symbiotic relationship of a scale and complexity unseen in history, the roles of Hong Kong and the functions we could uniquely offer as an international financial centre, underpinned by “one country, two systems”, have taken on increased relevance and importance as never before. Thirdly, Hong Kong is a premier centre for asset management and risk management. The combined fund management business of Hong Kong has tripled over the past decade. Funds sourced from overseas investors accounted for 66% of the total in 2016, signifying our attractiveness as an international asset management centre. In an era of growth, a rising tide lifts all boats, but we cannot afford to be complacent. We must set our vision far and wide, guided by strong leadership and a coherent strategy for consolidating our strengths and opening up new horizons. It is for this reason that I decided to set up a Financial Leaders Forum in Hong Kong at the beginning of my term. Chaired by the Financial Secretary, the forum comprises the most senior and important leaders in the realm of financial services in town. Since its inception in August last year, it has provided strategic guidance over a number of issues, including key changes to make Hong Kong the preferred listing platform for new economy enterprises. In addition to the Financial Leaders Forum, we have also benefited from the advice of the Financial Services Development Council. Since its establishment five years ago, it has served us well with commendable efforts in rallying the industry and producing high-quality reports, pointing out areas for improvement and feasible options for making us better and stronger. In pursuing growth, we will never lose sight of the need for robust and transparent regulation that is of the right touch and in alignment with international best practices. Sustainable development must be underpinned by regulatory oversight to ensure market order and, where necessary, clamp down on illegal activities. Our key regulators – the Hong Kong Monetary Authority (HKMA), the Securities & Futures Commission (SFC) and the Insurance Authority (IA) – will remain vigilant while facilitating growth and development. There is a delicate balance to be struck between development and regulation, and I believe our regulators have charted forward along the right direction. As a city with no natural resources, innovation is deeply ingrained in the DNA of Hong Kong. We have a cherished tradition of innovating into prosperity out of physical constraints by taking full advantage of circumstances – ever-changing as they may be – favourable to our economic development. Innovation, the second key word of this year’s theme, must be seized upon to unlock the full potential of the gains from growth and ensure that Hong Kong stays ahead and remains competitive in the wealth creation process of China’s growth. Knowing that connectivity with the Mainland capital markets is crucial to the further development of Hong Kong as an international financial centre, we, with the support of the Central People’s Government, have built up mechanisms one after another for deepening connectivity. Starting from the Hong Kong-Shanghai Stock Connect in 2014, the Hong Kong-Shenzhen Connect in 2016 to the Bond Connect in 2017, coupled with mutual recognition of funds, Hong Kong has showcased our unique role under “one country, two systems”. Since their inceptions, the cumulative transactions through the Stock Connect conduits in the Mainland totalled more than RMB4.6 trillion, while those in Hong Kong amounted to HK$3.9 trillion. In this process of wealth creation, Hong Kong not only strengthens our status as the prime gateway for overseas investors to enter the Mainland financial markets, but also brings forth immense mutual benefits for both the Mainland and the rest of the world. What’s more exciting and of a grander scale is the concept of the Guangdong-Hong Kong-Macao Bay Area, covering Hong Kong, Macao and nine of the fastest growing cities of Guangdong Province including Guangzhou, Shenzhen and Zhuhai. With a population of 66 million, roughly the size of the UK and collective GDP at US$1.36 trillion, akin to that of South Korea, the economic potential that could be unleashed from increased connectivity and integration within this region is beyond imagination. Hong Kong has the expertise and experience in financial, professional and business services to assist bay area companies in their pursuit of international expansion. At the same time, our unparalleled knowledge of the Chinese market, and our deep economic connections with both the Mainland and the rest of the world, best equip us to work with our partners to tap the opportunities in the Mainland’s vast market and in particular the bay area. Added to the Guangdong-Hong Kong-Macao Bay Area are the opportunities of the Belt & Road Initiative. The Belt & Road Initiative will provide a new window of opportunities for us to further deepen our role in connecting the Mainland with other economies along the way. As Asia’s international financial centre, Hong Kong has the experience, expertise, international connections and deep liquidity to serve as the fundraising and financial management hub for different kinds of mega projects. Hong Kong offers a great variety of financing avenues, from IPOs and loan syndication to bond issuance. No discussion of innovation would be complete without touching on technology. Indeed, innovation and technologies applied in the financial sector are particularly exciting and powerful, raising operational efficiency, generating new business opportunities and enhancing consumer experience. In Hong Kong, we encourage financial institutions to innovate and apply technology to enhance their operation and offer novel products and services to enhance customer experience. To expedite the process, our regulators, the HKMA, SFC and IA have all launched their regulatory sandboxes to enable pilot trials of financial innovation to be conducted under a confined regulatory environment. This facilitates financial institutions to roll out fintech initiatives earlier and at a lower cost upon full product launch. This is also an example of how we strike a balance between meeting market demands for innovative financial products and services and ensuring adequate consumer protection. One important aspect of fintech is that it lowers physical barriers and limitations for serving clients beyond borders. For instance, cross-border payment and money transfer using fintech could ensure speedy and secured transactions. Some stored value facility operators in Hong Kong are already offering instant global money transfer services, allowing clients to send money to a number of countries, including some along the Belt & Road, with a few taps and swipes on a smartphone. Apart from cross border payment and money transfer, blockchain technology could also potentially come into play in the Belt & Road Initiative. We are working on it and making good progress. Seven banks in Hong Kong have decided to develop a trade finance system named the Hong Kong Trade Finance Platform to digitise and share trade documents and automate processes. Simply put, it means faster and more efficient processes with lower cost, as well as reduced risks and frauds. The HKMA is already in discussion with the Monetary Authority of Singapore on building a cross-border infrastructure to connect HKTFP with a similar trade platform in Singapore. On the front of supporting startups, Hong Kong Cyberport has launched a dedicated fintech co-working space, Smart-Space FinTech. Cyberport’s incubation programme also provides designated support for 150 Fintech start-ups by year 2020. In addition, we have launched the $2 billion Innovation & Technology Venture Fund and are inviting private venture capital companies to join hands with the Government to invest in technology startups. Chief Executive Carrie Lam gave these remarks at the opening ceremony of the Asian Financial Forum on January 15.